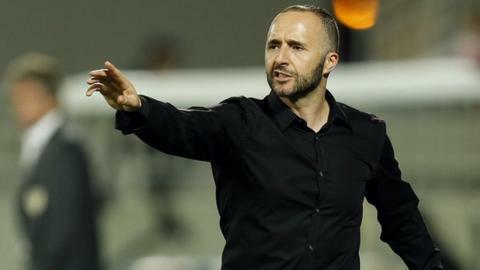 Qatar have sacked Algerian coach Djamel Belmadi just over a month before the start of their joint 2018 World Cup and Asian Cup qualifying campaign. The Qatar Football Association said: "We're currently on the look-out for a new coach. We thank Mr Belmadi for his services and co-operation. "We got some very good results in his stint as coach. He was one of our finest coaches. "He lifted the spirit of the players and carried out his tasks well." Belmadi, who was appointed in March 2014 after a spell with the B side, seemed to have Qatar on the right path by winning the Gulf Cup of Nations in November but they endured a miserable Asian Cup campaign in January. The 2022 World Cup hosts lost all three matches in Australia to finish bottom of Group C.
Qatar have been drawn with China, Bhutan, Maldives and Hong Kong in 2018 World Cup and 2019 Asian Cup qualifying and begin their campaign on 11 June.